Yes, i’ts me El Moano . Sorry I’ve not reported anything lately but I’ve been away in the country. After a mad dash I just made the Millman Street charabanc to Southend. For reasons I’ll disclose later I wore a large hat covering my boat race? It was a good trip, but delayed as usual by the Camden Council drivers doing their own thing and bringing the old folk in late to the centre. Mad rush to the coast and no time for any tinkles – just had to cross our legs and hope! The weather went from cloudy and bright to full on sunlight. 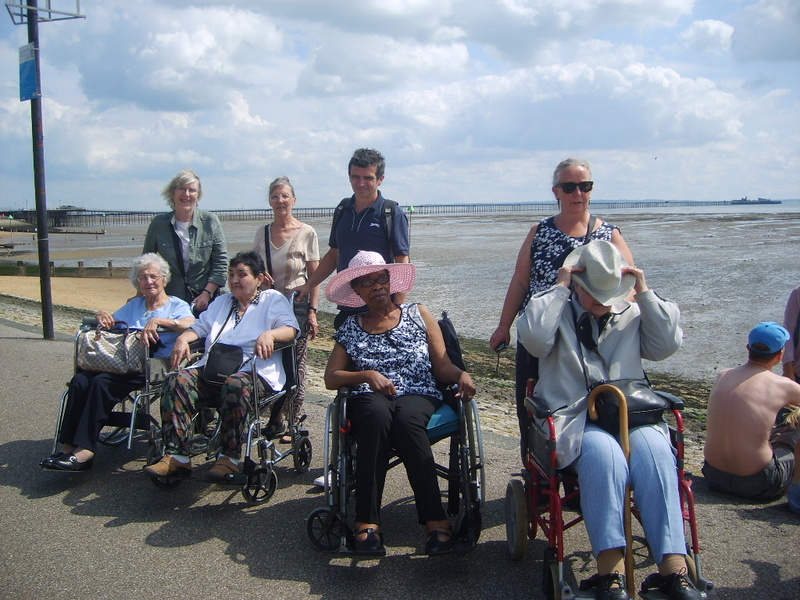 An Edwardian stroll along the promenade with six wheelchairs in convoy and ‘Ward Bond’ shouting “wagons roll” (for my more mature readers – remember?). Anyway I digress. Went to the usual Fishie for haddock, cod, plaice, chips, peas and a lovely cup of rosie. 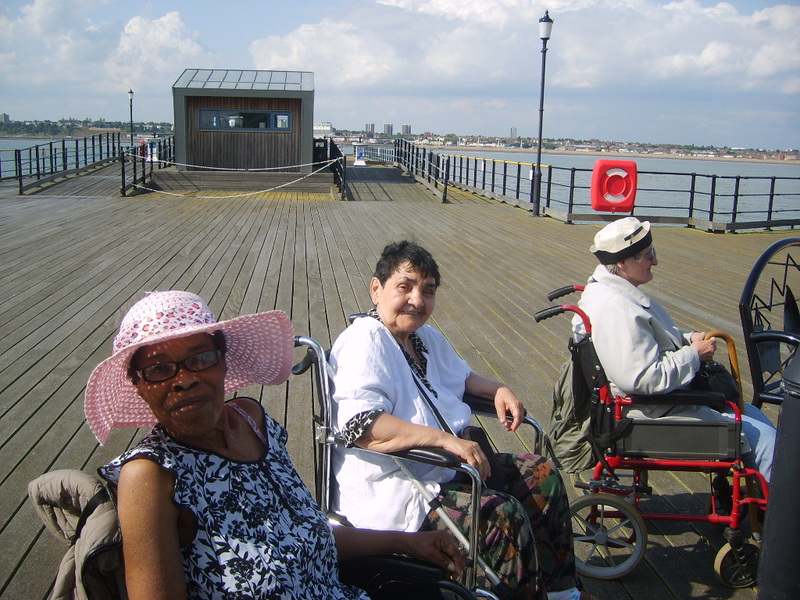 Walked along the pier, a wheelchair in hand, with all the dangerous trenches between the planks. When I complained the lady actually said “well it is old”! I looked at her with disbelief and suggested that she needed a new job. The homeward journey was fast until we were stopped at Dagenham by a flashing blue light and I was escorted back to my country retreat! 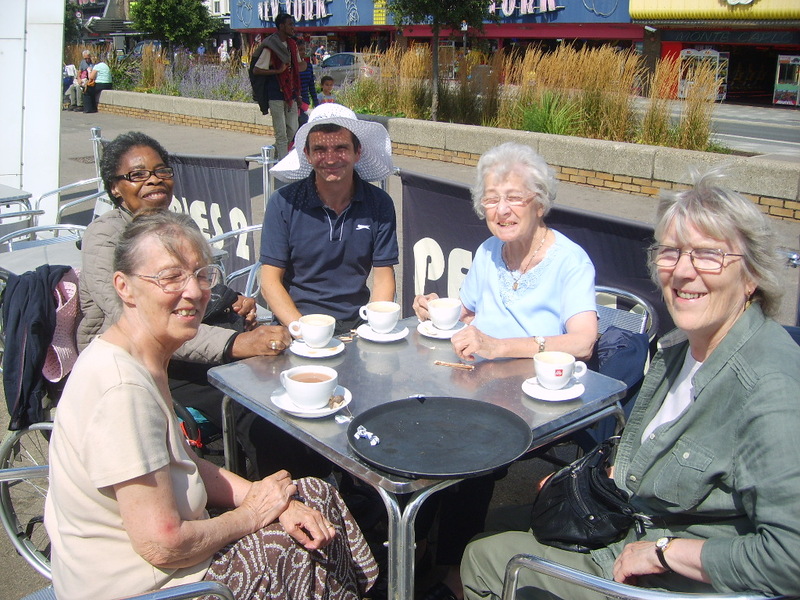 This entry was posted in Journeys, Outings, Volunteering and tagged older people, over 60's, Southend, Volunteer, WC1. Bookmark the permalink.